A Pastel Gift Card will make somebody’s day! Simply choose the amount and we’ll email it to you (super fast) with the TO & FROM blank, ready for you to print, fill out and give to someone special. Contact us if you’d like a customised code or a voucher for an amount not listed. 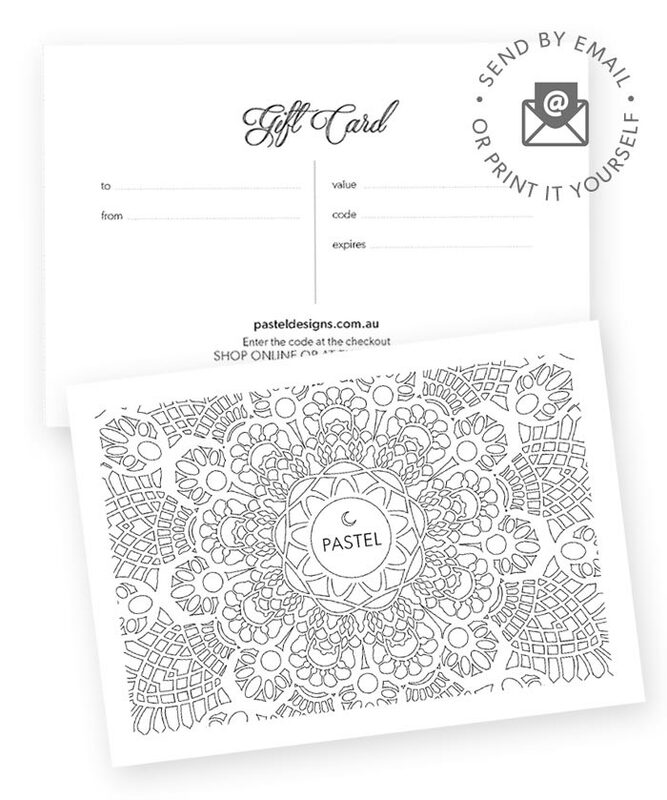 IMPORTANT: If you would like the gift card emailed directly to the recipient please put THEIR email address and who the gift card is TO & FROM in the ‘order notes’ at the checkout. Please email us with any special messages or instructions.